Every major version upgrade of RM Studio requires a download and install. With your annual license you receive a one hour installation and upgrading assistance from us, if required. We will schedule a time that you agree to and we can work with whomever you assign to the version and database upgrading task (i.e. IT personnel). We highly recommend backing up your RM Studio database as often as logical, but definitely prior to installing the version upgrade as a precaution. The database is managed and upgraded separately from the client installation, so your data should always remain untouched during upgrading. After installing the new version of RM Studio, you will need to perform a database upgrade as well. 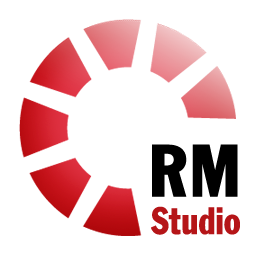 You have to close and restart RM Studio to access the login window. From the login window, click the ‘Settings’ button to access the Database Settings. Follow these instructions: Database Upgrade. We will reply to ask about some times you have available in your schedule, so if you want to include this information in your reply, we will save some time. A person with the appropriate access rights and permission may be required, so if you didn't install the original database nor upgraded a database in the past, please connect with someone who has the rights and permissions prior to scheduling a time with us. The RM Studio Web solution provides and external link for the risk owners and stakeholders to get more involved in the risk management strategy. The RM Studio Web solution occasionally requires upgrades as well. You need to already be using the Web solution with the RM Studio client, and have a valid user license in order to upgrade. The RM Studio Web API provides a REST-ful interface for interacting with data in an RM Studio database. The API has built in functionality for logging and access control of operations and modifications. To use the API, you need a valid RM Studio license with the API feature enabled. An RM Studio user account is required to authenticate and interact with the API. The API uses Basic authentication scheme with the RM Studio username and password to authenticate requests.